Need some new fall and winter clothes? 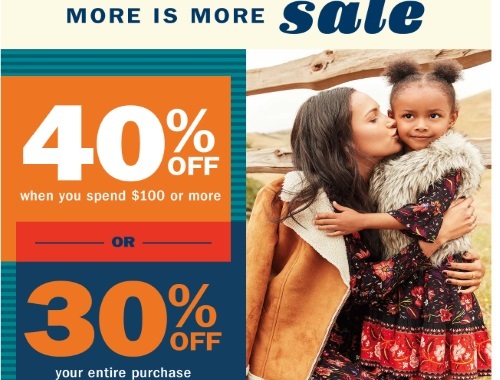 Old Navy has a More is More Sale on now! Enter the promo code MORE at checkout to get the discount. Offer is valid in-store and online until October 15, 2017.